We are delighted to announce the publication of Life in Translation a new novel by Anthony Ferner. A literary translator looks back on the events and encounters that have shaped him in his peregrinations from London to Lima, Paris to Madrid, Leiden and back to London over three decades. He finds it hard to make sense of the opaque syntax of his own life and relationships. 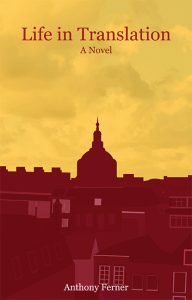 Can a chance meeting in a Dutch town with a key figure from his past bring some much-desired clarity? You’re invited to join us to celebrate the publication of Life in Translation at the launch party. 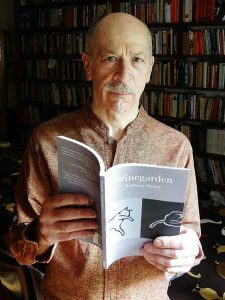 Anthony Ferner’s debut novella Winegarden was published by Holland Park Press in 2015. His second novella Inside the Brain Box was published by Fairlight Books in 2018. Life in Translation will be published in May 2019 and please contact the publisher for more information or review copies: bernadette@hollandparkpress.co.uk +44 (0) 77 926 11 929.